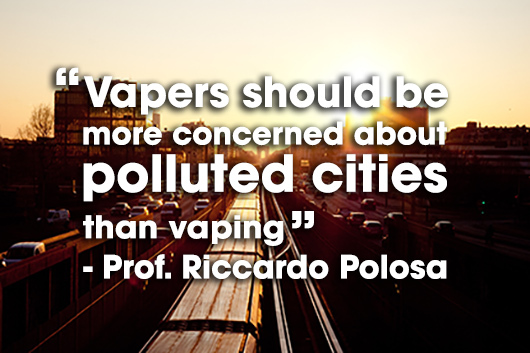 Journalists, scientists and public health experts have all had a lot to say about electronic cigarettes recently. As you’d expect when a subject’s as controversial as this one, what they’ve been saying covers a wide spectrum of accuracy. Some of it’s highly reliable, some might benefit from a less biased interpretation and of course quite a bit is just wrong. And then there’s some that has a kernel of truth but has been blown up to alarming proportions. 1. E-Cigarettes contain more carcinogens than the real thing!!! Most vapers are probably familiar with Peyton and Pankow’s formaldehyde research by now. If you’re not, it caused a bit of a fuss early this year when it appeared in the prestigious New England Journal of Medicine (although as a letter to the editor, not a published paper). 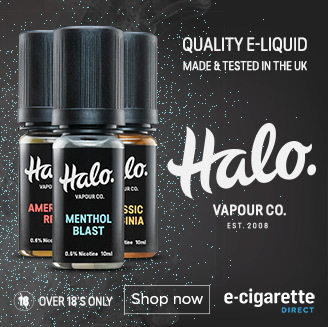 The claims they made about the levels of carcinogens in e-cigarette vapour attracted quite a lot of attention; articles like this, for example, or this. Traditional print media covered it widely and it also made a big splash in online news sources. Hundreds of millions of people probably read the story. Unfortunately they didn’t read the whole story. Peyton and Pankow weren’t testing e-cig vapour for all the carcinogens in cigarette smoke. They were only looking at one – formaldehyde. This is found in smoke, and it is a carcinogen, but in the context of smoke it’s a minor one; your chances of surviving all the other stuff in cigarettes long enough to get cancer from the formaldehyde are pretty slim. Any headline that highlighted the cancer danger of formaldehyde was missing the fact that cigarette smoke also contains arsenic, isoprene, beryllium, vinyl chloride, polonium-210 and almost 30 other known carcinogens – which e-cig vapour either contains at trace levels only (i.e. the same levels as air, water and everything else contain them) or, in most cases, doesn’t contain at all. Finally, and perhaps most importantly, almost no reporting mentioned how the experiment was conducted. 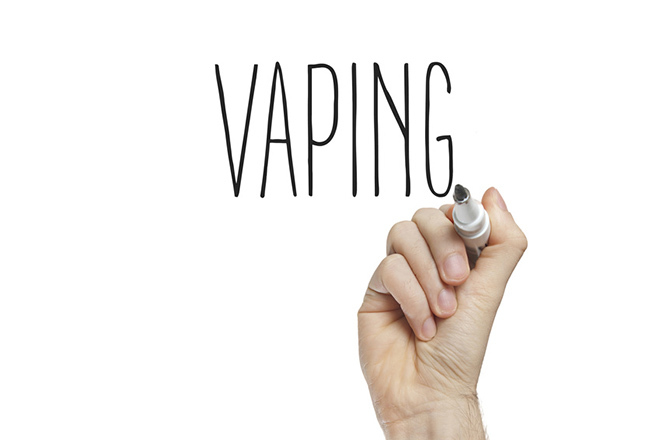 The researchers tested their e-cigarette at two power levels – normal, and maximum voltage. At maximum voltage, where the high formaldehyde levels were detected, the old CE4 clearomiser they were using couldn’t keep up and was dry-hitting repeatedly; the acrid, burnt fumes it produced would have been completely unvapeable. At normal voltage it produced no formaldehyde at all. 2. The tobacco industry is taking over!!! This is a constant claim by e-cigarette opponents – that the tobacco industry is moving into the market in a big way and dominating sales. Some alarming figures get thrown around, such as that Big Tobacco e-cigs make up 80% of those sold in US convenience stores. This is actually true – but what percentage of vapers buy their gear in convenience stores? It’s not very high. The tobacco companies sell large volumes, but that’s because they’re mostly selling expensive disposables. Their actual market share is modest and declining; five years ago the entry-level e-cig was a cigalike, but now it’s an eGo. Ironically the tobacco industry could take over; if the EU TPD, and FDA deeming regulations, go ahead then tobacco companies will be the only ones with deep enough pockets to get a product to market. 3. More teens vape than smoke!!! The “gateway effect”, where young people start vaping then move on to actual tobacco cigarettes in search of lower prices, a better taste and increased social acceptability, has been a frequent argument against electronic cigarettes. Repeated studies by Action on Smoking and Health have failed to find any evidence of it, but the worry hasn’t gone away. Many opponents of vaping remain convinced that, at some time in the future, we’ll see a legion of new smokers who’ve been ensnared into nicotine addiction by e-cigarettes. So you can imagine how they reacted to the news that vaping is now more popular than smoking among American young people. This news is definitely interesting, and the facts are indisputable – according to the latest data from the USA’s National Institute on Drug Abuse 17% of 12th-graders have used electronic cigarettes, while only 12% have smoked. 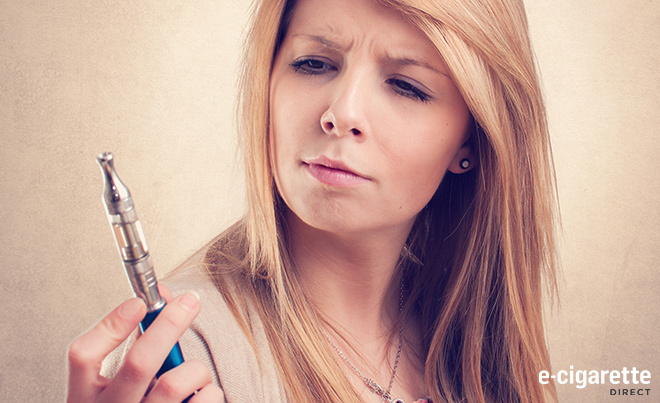 Among younger teens the difference is even more dramatic, with more than twice as many vapers. Naturally the media has reported this, often in alarming terms. What the reporting hasn’t done is provide much context for this. One key point they usually miss is that teen smoking rates in the USA went into a dramatic nosedive around five years ago and are now at the lowest levels ever – just half what they were 15 years ago. It’s impossible to be sure if there’s a relationship here but it’s not unreasonable to conclude that vaping isn’t encouraging smoking – it’s replacing it. That’s backed up by CDC figures which show that, while teen vaping has increased, total use of nicotine products has fallen. It’s also important to remember that figures for “ever use” don’t tell us a lot about how many teens are actually regular vapers (or smokers). If you’ve had one puff on an e-cig in the last 30 days, you’re counted as a current user. 4. E-Cigarette vapour contains metals!!! Yes, it often does. Metal components degrade slowly over time, and molecules from the tank can end up suspended in your liquid. Tiny particles often detach from the coil through thermal stress, and if there are soldered joints in the atomiser (common in disposable cigalikes) that can add metals too. The presence of metals doesn’t really mean much though. What matters is the level they’re present at, because metals – like everything else – obey the first rule of toxicology: “The dose makes the poison”. In fact some of the metals found in e-cigarette vapour, such as copper, are toxic at high levels but essential nutrients in smaller amounts. The quantity of metal in vapour is far below the amount your body actually needs to absorb every day, and nowhere near that required to be toxic. In fact they’re between ten and 50 times lower than the permitted level for an asthma inhaler. 5. E-Cigarettes are as addictive as tobacco cigarettes!!! Recently it was reported that electronic cigarettes are just as addictive as actual cigarettes. That’s an alarming claim, and also a puzzling one because it doesn’t fit well with many people’s experience. Various studies have shown that on key measures of addictiveness – things like how soon after waking up you take your first puff – e-cigs score much lower than cigarettes. It turns out that the research the reports are based on is actually very high quality, but it’s purely an investigation of vapour chemistry. What they found was that most of the nicotine in the liquid – and the vapour – is in its freebase form. Freebase nicotine is more easily absorbed by the body than other forms, so higher levels of it make nicotine delivery more efficient. 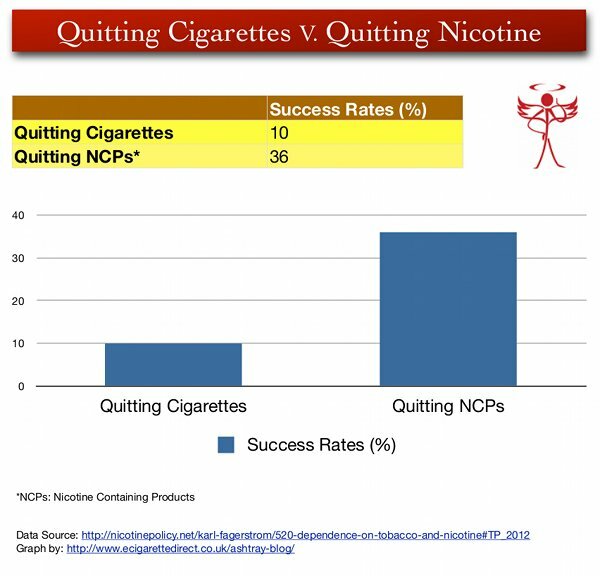 Of course if you’re trying to quit smoking you actually want nicotine delivery to be more efficient, and the research didn’t make any comments on this; it stuck, quite rightly, to the scientific facts. If the authors had wanted to they could have pointed out that the nicotine used in e-liquid is exactly the same pharmaceutical grade used in patches, gum and inhalators – and pharma grade nicotine is freebase. It’s supposed to be. 6. Nicotine is as addictive as heroin and cocaine!!! 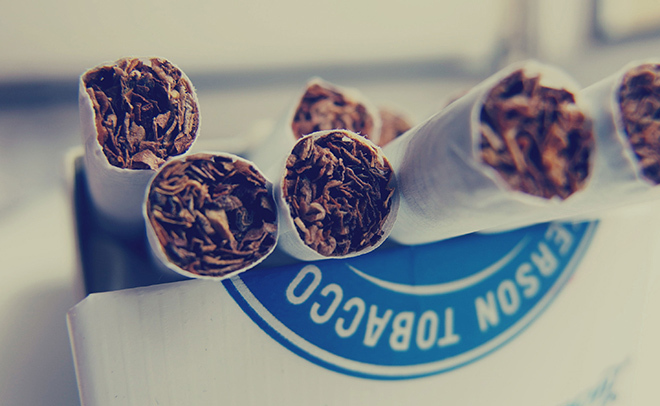 It’s a widely accepted fact that nicotine is one of the most addictive drugs in existence. A lot of that simply comes down to its association with smoking. Most of the research on nicotine has been done in the context of lit tobacco, and there’s no doubt that tobacco smoke is highly addictive. It’s not as easy to say the same thing about nicotine though. Firstly because there just hasn’t been anywhere near as much research on pure nicotine, and secondly because the studies that have been done don’t exactly suggest it’s very addictive. There are ethical issues that make it difficult to test addictiveness on humans; you can’t risk turning all your test subjects into addicts. There are some hints in the scientific literature though. Animal studies have come up with similar results. It’s possible to get rats addicted to cigarette smoke, but if you then give them a choice of sugar cubes infused with nicotine and sugar cubes flavoured with tobacco they go for the tobacco taste almost every time. Essentially, the addictiveness of pure nicotine is unclear. When combined with other chemicals found in smoke, such as monoamine oxidase inhibitors, it’s highly addictive. On its own? That’s an open question. And if science doesn’t even know if it’s addictive there’s an obvious problem with quantifying how addictive. 7. 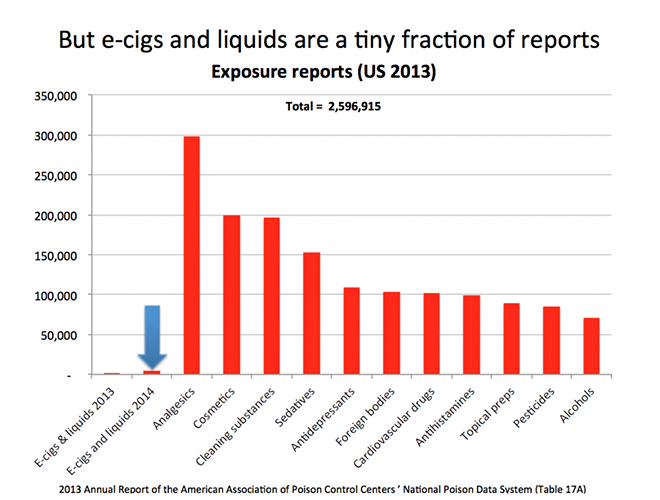 Poisonings from e-liquid are rocketing!!! This claim is often heard from lower-level politicians or local health departments, and it’s almost entirely based on data from American poison control centres. Enthusiasts point to graphs that show the number of calls about e-liquid rising sharply. This is correct; it is rising sharply – because e-cigarette use is doing the same. So how much of a problem is this? It’s important to make a distinction between calls to poison control centres about e-liquid and actual cases of e-liquid poisoning. This is rarely done, because there doesn’t seem to be much data about actual poisonings. A cynic might suspect that this is because there haven’t been very many, and in fact it’s impossible to find more than a handful of reported cases. The best publicised, a fatality, actually involved nicotine base rather than e-liquid and the circumstances are murky to say the least. Another thing to bear in mind is that, even if there’s been a rise in calls, the number is still insignificant compared to many other common household products. 8. E-Cigarettes are a fire hazard!!! There’s been quite a lot of media coverage about the fire risk from electronic cigarettes, following some spectacular blazes. Fire brigade chiefs have weighed in with some (usually very sensible) safety advice, and it’s been cited as a hazard of vaping by such well-researched and reliable sources as Wikipedia. There definitely is a risk that an e-cig could cause an explosion or fire, and the tabloids have painted this as a serious hazard. Are e-cigarettes particularly dangerous, though? The answer to that question lies in the power source that e-cigs use. This is, in almost every case, one or more lithium-ion batteries. These have revolutionised most consumer electronics over the past few years – they’re why an iPhone with a big screen and huge music library has a longer battery life than that pocket FM radio you had back in 1982. Lithium ions have an incredible energy density; they pack lots of electrical charge into a small space. The trouble with energy is that, whatever form it’s in, it always seems to want to turn into heat. As long as a battery discharges energy in a controlled way everything’s fine, but if control is lost a lot of heat can be generated, very quickly. That vaporises the electrolyte in the battery and can cause an explosion – if the battery is in a sealed case it definitely will. The electrolyte is also flammable, so it’s likely to catch fire. Short circuits are a common cause of uncontrolled discharge; so is physical damage to the battery. Incorrect charging can also cause a thermal runaway. So yes, lithium-ion batteries can be a fire hazard. Is this confined to electronic cigarettes though? No it isn’t. Mobile phones and laptops use exactly the same battery technology – take a laptop battery apart and you’ll find it’s just a plastic box stuffed with 18650s. And you won’t be surprised to hear that mobile phones and laptops sometimes catch fire, too. 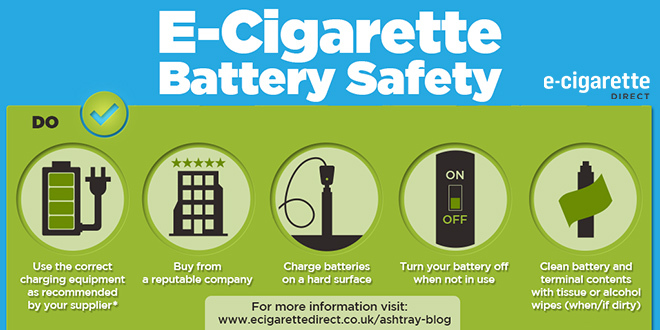 If you are worried about the danger of e-cigarettes exploding, make sure you check out this E-Cig Battery Safety Infographic. 9. There’s been no research on e-cigarettes!!! There certainly hasn’t been as much research on electronic cigarettes as there has been on actual cigarettes. They haven’t been around for anywhere near as long, and it took some time before researchers started taking them seriously enough to investigate them. How much research is there, though? Is it very little, as some opponents claim? Firstly, e-cigarettes have been on the market in the UK for around eight years. That’s also how long it’s been since the first PubMed-indexed paper on them was published. Eight years is a fraction of the time that tobacco cigarettes have been studied but it’s not actually insignificant. For example long-term clinical testing of most drugs lasts only five years – sometimes seven, in exceptional cases. There’s more long-term data on e-cigarettes than on most licensed medicines. The pace of research hasn’t exactly been slow either. A PubMed search for “e-cigarette” pulls up 1,390 results; that’s an average of about one paper every two days since 2007. If that isn’t enough research, it’s reasonable to ask what would be. E-liquid contains propylene glycol, and so does antifreeze. Therefore e-liquid contains antifreeze. Well, not exactly. E-liquid (usually) contains nicotine, and so do aubergines, but that doesn’t mean e-liquid contains aubergines. It’s quite correct to say that e-liquid and antifreeze share an ingredient, but does that actually say anything useful? Not really. If you buy a cake from the supermarket it almost certainly contains propylene glycol, but it’s safe to say that your bottle of RY4 does not contain cake. There’s actually a very good reason why propylene glycol is used in antifreeze; it’s because it’s non-toxic. For decades children and pets, attracted by the sweet taste of ethylene glycol, have occasionally drunk antifreeze and been poisoned – often fatally. 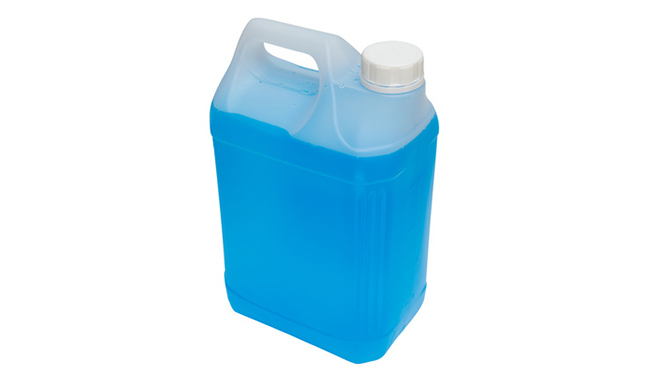 Antifreeze made with propylene glycol can be legally described as “Non-toxic”. Exaggerations are a fact of life in modern society. After all, dry scientific facts may be more correct, but they don’t sell newspapers. And let’s not forget e-cigarettes are a disruptive industry, threatening many billions of pounds in cigarette sales, nicotine cessation aids and tax revenue. We can expect some of these billions to be spent on spin doctors and damaging PR. 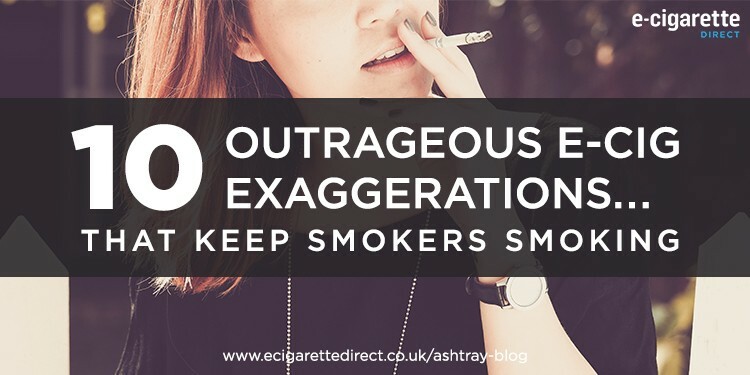 But these exaggerations have a very damaging effects – ensuring that smokers maintain a habit likely to send between a third and a half to an early grave. In fact, Public Heath England revealed that the number of people that believe e-cigs are at least as harmful as tobacco cigarettes have increased as a result of scaremongering stories. What exaggerations have we missed? Let me know in the comments! Anti-smoking ads make some smokers smoke more! Mostly a nicely balanced article, as is usual for the Ashtray Blog. Thankyou to Fergus and I look forward to seeing more from him. I could have a very small issue with item 9 about e-cig research being slightly guilty of almost Daily Mail-esque exaggeration. Let’s face it, rather too much of the research done has in fact been fairly rubbish research, done by ‘scientists’ who knew nothing about vapers or vaping, and often with an agenda to find evidence of harmfulness which frequently does not exist – eg the formaldehyde issue. However… as a dedicated vaper since 2008, I can forgive this rather easily. Item 9 has given me a totally delicious little phrase to add to my arsenal to encourage smokers to give vaping a try. “There’s more long-term data on e-cigarettes than on most licensed medicines.” Wonderful. In addition, I’m most grateful to Fr. Kearney for his comment clarifying the technical difference between ‘dependence’ and ‘addiction’. I am entirely comfortable with being ‘dependent’ on nicotine in the same way that I am presumably ‘dependent’ on the medication I take each day to control my high blood pressure. I have no plans to give up either.